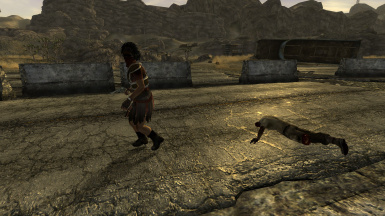 This mod adds four patrols into the Mojave Wasteland. Two of these patrols belong to the NCR and the other two belong to the Legion. This mod ensures that these factions patrol the major roads in their territory. Have you ever wanted a little more action while on the road to your next destination? 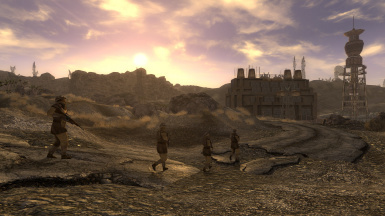 Or maybe you are allied with the NCR or Legion and are having trouble with the constant hit squads sent by your enemies, and could use a little help from your allies? 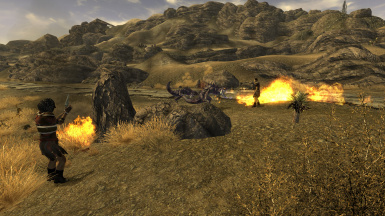 In any case, this mod will add four new patrols on the East side of the Mojave Wasteland! 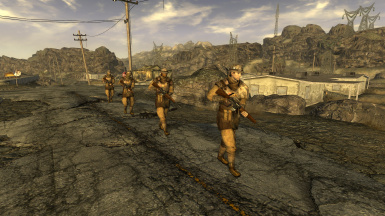 The first two patrols belong to the NCR and they patrol the roads between Novac and Helios One, as well as the roads between the 188 Trading Post and the NCR Sharecropper Farms. 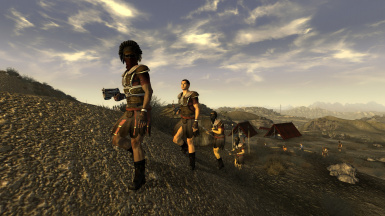 The Legion, on the other hand, will also have two patrol that operate between Cottonwood Cove and near the Highway 95 Viper Encampment, as well as between the Legion Raiding Camp and Nipton. 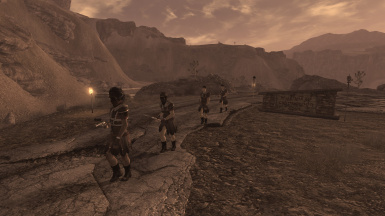 NCR patrols consist of four NCR troopers, one of which leads the others, whereas the Legion patrols consist of one Prime Decanus that leads three recruit legionaries. All of them are set to respawn in the event that they are killed during their patrol. If a leader dies, the patrol will wait until he has respawned before continuing. The reason why the West side of the map goes un-patrolled is due to multiple instances in dialogue that states the NCR no longer patrols the roads. In Sloan, Chomps Lewis states that the NCR never showed up to help them after the convicts broke out of the NCRCF. 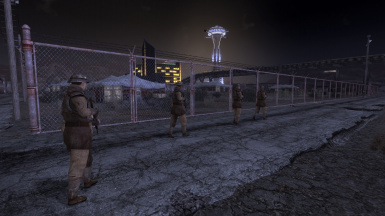 In Primm, Lieutenant Hayes states that they are severely undermanned and cannot even clear the escaped convicts in Primm. 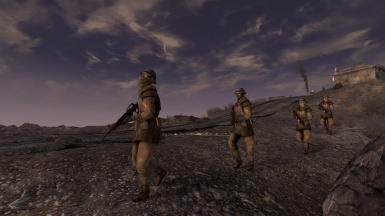 And lastly, the at the Mojave Outpost, Ranger Jackson states that he does not have any troopers available to clear out the road and open up the trade route, thus he enlists the player to do it. If you enjoy this mod, check out my other mods!